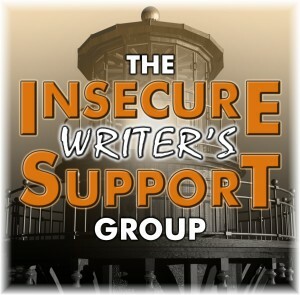 Today is so exciting because it’s Insecure Writers Support Group day. 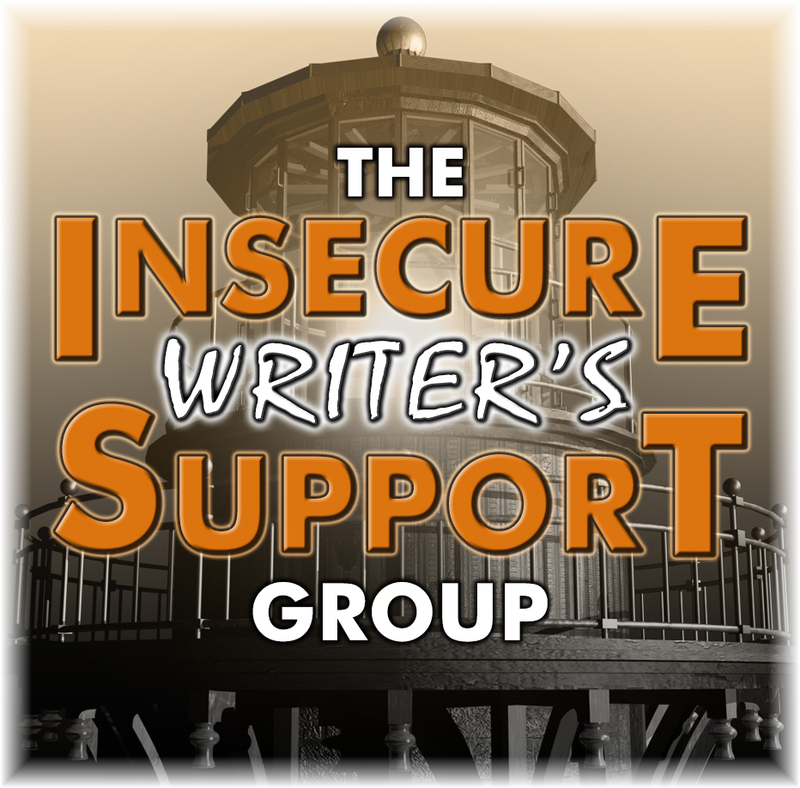 IWSG was founded by Alex J. Cavanaugh for the purpose of encouraging other writers—or anyone who’d like to learn the craft. Writers can ask questions and express doubts and concerns without fear of appearing foolish or weak. We’re a safe haven for insecure writers of all kinds. We invite you to follow other IWSG members here or by using the twitter hashtag #IWSG. You can also go to our Facebook page and Instagram. We’re awesome! Co-hosts for the January 2 posting of the IWSG are Patricia Lynne, Lisa Buie-Collard, Kim Lajevardi, and Fundy Blue! Our January 2nd question is What are your favorite and least favorite questions people ask you about your writing? The question I dislike the most but hear often is are you still writing? That’s a sure sign they haven’t Googled me, looked me up on Amazon and they certainly aren’t reading me. Yeah, yeah, I know I’m putting all the work on them. The way I see it (and like it) is if they do what they’re supposed to do (track me down) then I won’t have to do what I should be doing (promote myself and my books!) I really have a rough time promoting myself. Hey, I was thinking about you the other day and Googled your name. You’re really out there, girl! How did I miss all the excitement in your life? 😂 Now that would make me laugh out loud! I might even strut a little. I can’t get your first book out of my mind. It was such a fun novel, I really loved all the Elvis trivia. Have you thought about writing a sequel? Yes, a prequel and a sequel, but no, my Elvis days are over. Answering questions about our work is part of the job–regardless of whether they’re good questions or bad questions. Promotion, advertising, doing interviews and blog hops is expected. Every contract I’ve signed has included a paragraph about promoting the project. Having interviewed authors for Southern Writers Magazine for almost seven years, I noticed how some authors have a knack (a personality) for answering questions and others come across dull as dirt. Maybe the dull ones are trying to come across as serious professionals. Then again, maybe they just have no personality or humor about them. Answering questions seems like an easy task but as an interviewer, I believe there’s an art to it. We all need to learn how to answer questions in a way that encourages the reader to find us interesting and want to know us better. We should put personality in our answers. In 2019, I hope to write, sell and answer a lot of questions. How about you? You raise an interesting point about people who give dull answers – are they trying to project a persona of “serious author” which is far less interesting than the down-to-earth, fun, and relatable author. Same here. I love answering questions about my writing. In fact, I could hold a two hour lecture filled with wit, humor and excitement about my characters. By the way, I love Southern Writers Magazine. I am a subscriber. Wishing you all the best for 2019. Pat, how wonderful that you subscribe to SWM! I quit writing for them this year. Thanks for your comment. I hope you’ll come back to see me. I don’t think anyone’s ever asked me “are you still writing?” I don’t know, that sounds almost rude. Someone recently asked me how many story worlds I’m writing in. That question really took me off guard, but it led to a fun conversation. James, that’s a wonderful question your reader asked you. I can see where it would lead to great discussion! I don’t think my friends and family were trying to be rude… even though several don’t have to try very hard… I think they were really exhibiting a lack of interest. Mmmm, maybe same thing. 🤔 thanks for stopping by! Agreed on the dull answers, I see that many times at conventions. I think it’s crucial to connect on some level so the reader or viewer thinks, “I want to read them!” I write lighter genre work, so at panels I try to make sure that comes across. You always ask GREAT questions, Jessica! As an interviewer, and as a friend. Your questions have a tendency to move me forward, get me unstuck, and challenge my thinking. Your thoughtful answers do the same. Blessings to you for a prosperous and prolific 2019! Thanks Heather, I hope we both have a prosperous and prolific 2019! Let’s not allow anything to stop us this year! Promise? 👍🏻 We have a deal! Question I dislike the most: When are you going to publish a book? Comment I most enjoy hearing: Hey, I read your article on (such and such). Loved it! You’re doing a great job! Have you asked me about writing a book? I wasn’t thinking of you when I wrote that! Thanks, Jess. Wishing you a productive New Year! Actually I wish I got more questions about my writing……that more people knew what I was up to. The best answer I have is “It’s the story I want to tell.” Do any of us have a better answer? I agree! Go find me, buy a book, read it and then come tell me about it already. LOL. Charity, I’m sure you do well answering questions. Transparency = not putting on the cloak of pretense. It’s when we try to be something we’re not that we get ourselves in trouble. Happy IWSG Day, Jessica! You certainly made a point that resonated with me when you said that some writers’ answers to questions are as dull as dirt. Being insecure, my first thought was my answers are dull as dirt. But then I haven’t been interviewed about my writing! I remember when I was an active member of our teachers’ association. We trained in having short, succinct answers for pressing union questions and issues ~ one that could be answered in an elevator ride (in a short building!). Your post will stick in my mind, especially as I get closer to being interviewed or even answer questions from friends and family. Thanks! Yours was a gem of a point! all the best to you in 2019! Thanks Louise! When I say “dull as dirt” I’m mainly talking about email interviews. Many authors just answer the question and don’t elaborate. That means usually, a line or two of dry answer. There are a lot of ways to jazz up your answers that show humor, personality and that you’re having a good time and love being an author. Hope that helps! How did I miss all the excitement in your life – LOL! That is what we would rather hear, isn’t it? Jessy, I have no idea why I’ve missed your blog before. I’m so sorry! I hope your writing generates lots of fantastic questions in 2019! Thanks Sara! Let’s make 2019 our best year yet! I’m not a fan of answering questions about my writing. It puts me on the spot and then I get flustered and there goes my thoughts. Good point on the interviews. I try to just be me, and hope if that works for people, they’ll look me up. Thanks for popping in, Shannon! Want to receive my newsletter with news & book release info? Click here to subscribe!